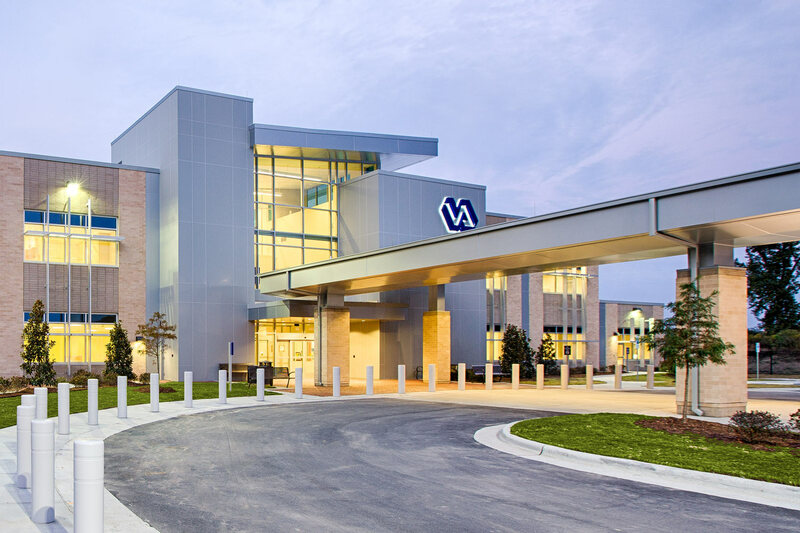 The Veterans Health Administration is America’s largest integrated health care system, committed to providing excellent care to over nine million Veterans each year and offering treatment in unique specialties such as polytrauma and post-traumatic stress. 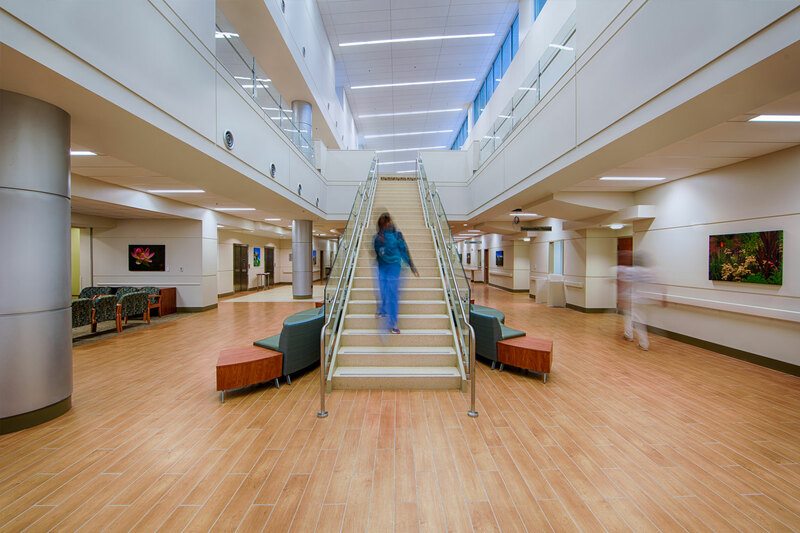 Their goal to reach veterans in rural areas while reducing energy demands at their 1,000+ outpatient clinics nationwide led EwingCole to infuse research and sustainable performance into the design of this new urgent care, oncology, audiology, dental, and pharmacy building. 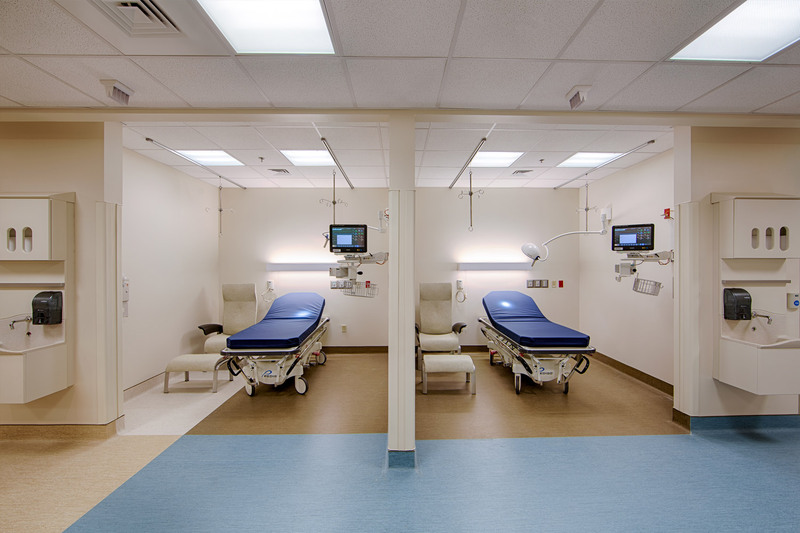 The 116,000 sf building provides key features for clinician and patient well-being ─ patient safety and physical security, indoor air quality, and daylighting ─ while demonstrating a 20% reduction in energy usage compared to the ASHRAE standard. "We are so excited to officially open this health care center in Greenville. 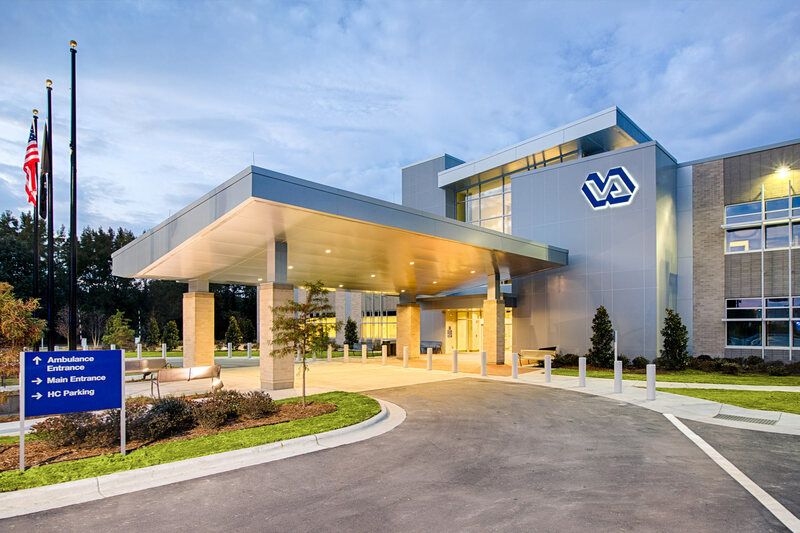 This new center will offer exceptional patient-centered care to many veterans in this area."